Hello everybody! 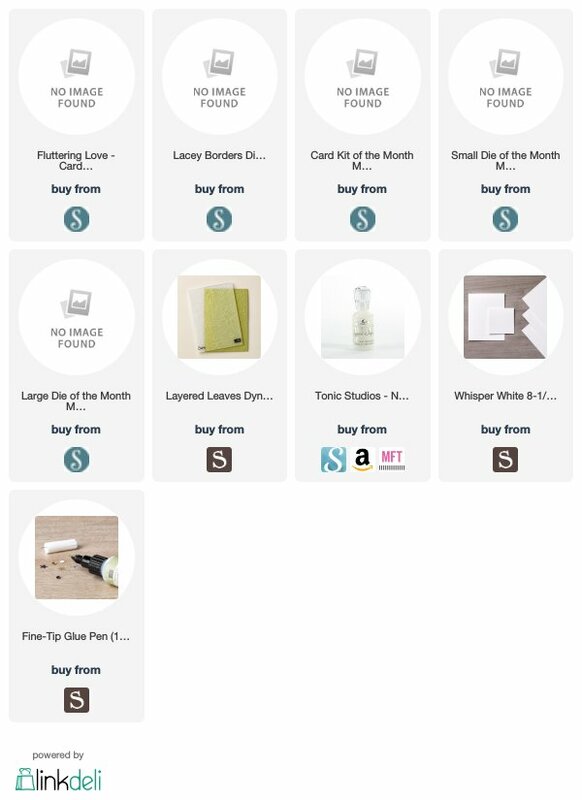 I have started getting the Spellbinders Kit and Caboodle monthly kits, and thought I would share the projects I have made so far with the February kit. The kits are packed with goodies, and you will be able to make loads and loads of projects with just the consumables in them. And the dies are to die for! I did a quick video showcasing these cards too. 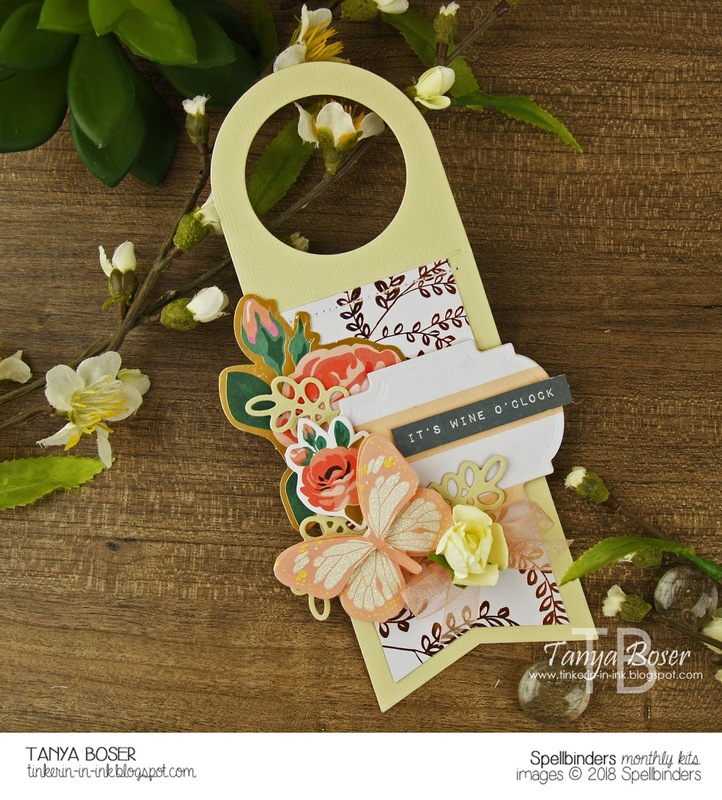 The Papertrey Ink Wine Bottle Tag came out to help again, as there are some gorgeous thick elements in this kit that I just could not put on a card. They sure look good on a tag though, don't you think!? 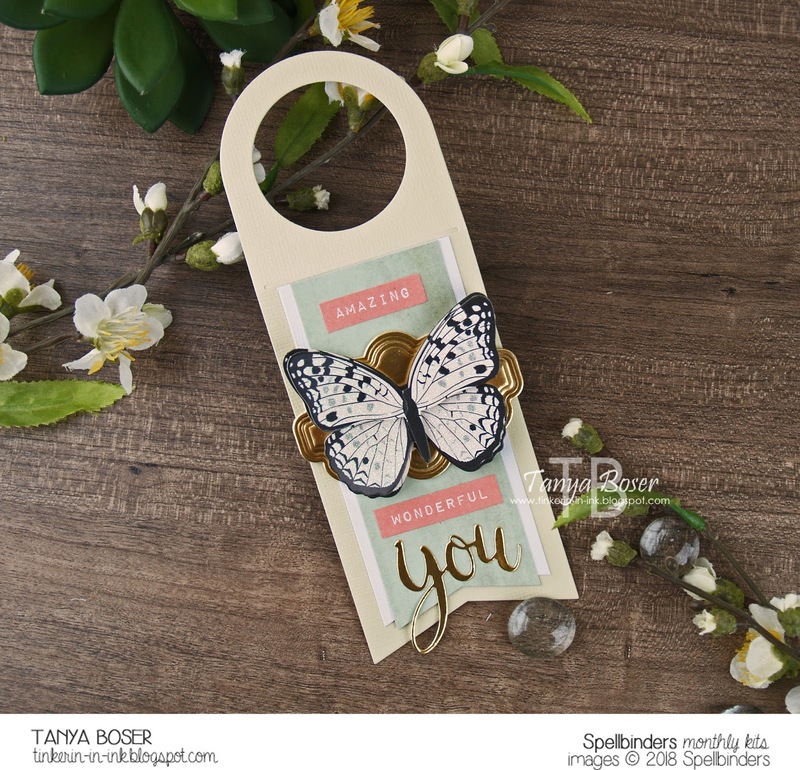 I used up both of the beautiful, and very dimensional, butterfly elements on wine bottle tags. 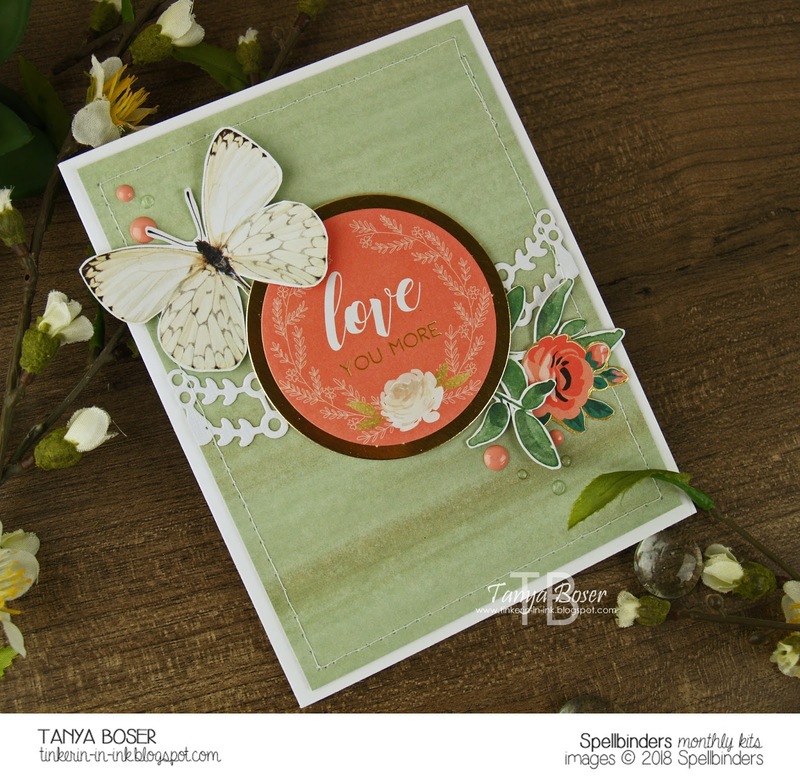 This gorgeous patterned paper is helped along with the gold foil cardstock from this kit, and the sentiment and die cut word are from the March 2018 My Monthly Hero. Another slice of that gorgeous paper! 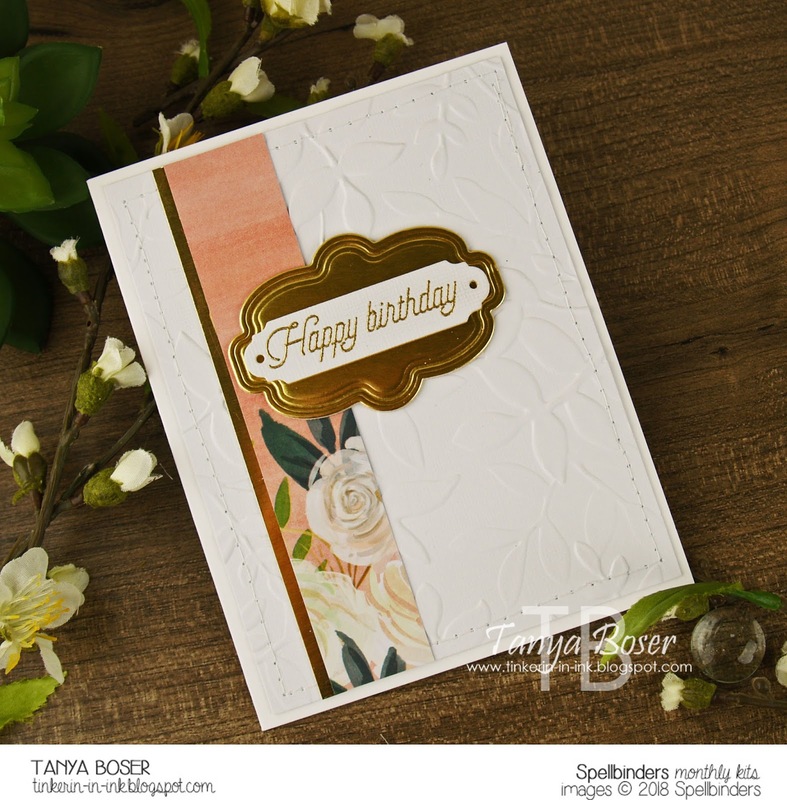 And a Layered Leaves embossed panel cut from the cardbases provided in the kit. The sentiment is from a past Paper Pumpkin kit. More of the patterned paper and ephemera from the kit come together into a lovely card with almost no effort! And no stamping at all on this card. Take a moment to go shopping with this clickable supply list. The affiliate links help support this blog and YouTube channel. I have purchased all of the product used in this post myself, and have not been paid to create this post.